Trees help clean the air. They absorb odors and pollutant gasses. Trees provide oxygen. In one year an acre of mature trees produce enough oxygen for 18 people. Trees help clean rivers and streams and prevent water pollution. They reduce runoff by breaking rainfall and allowing water to flow down the trunk and into the earth. Trees combat global warming. Trees absorb CO2, absorbing and storing the carbon and releasing oxygen back into the air. Trees stabilize the soil, preventing erosion. Trees slow runoff and hold soil in place. Trees increase property values. The attractive look of a well-planted property can raise the value of the property as much as 15 percent. 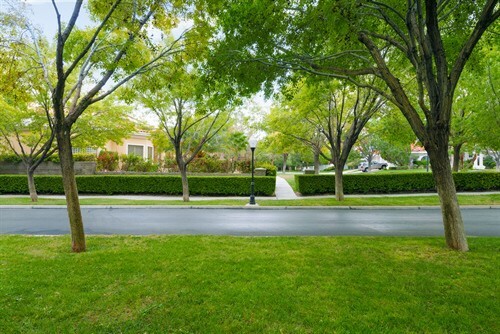 Trees cool the streets and the city, by shading homes and streets and releasing water vapor into the air. We don’t want to forget the obvious one: Trees add beauty to the landscape, adding color and warmth to the neighborhood and city spaces. There are many other reasons to plant and nurture trees in our yards and neighborhoods and cities. They provide so many benefits for our communities throughout their long lives. And when a tree comes to the end of its life, we at Hunski Hardwoods have the honor of turning it into something else beautiful. Maybe it will become walnut slabs, music wood, or walnut blanks. Check out our vast inventory of hardwoods.